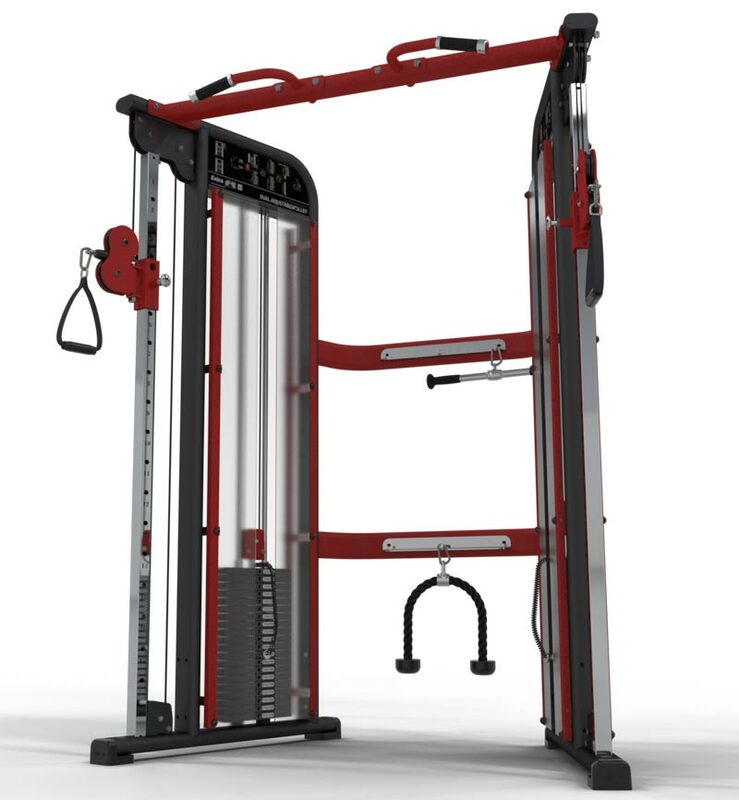 The Exigo Dual Adjustable Pulley is a multi-functional machine that enables explosive exercises focused on maximising strength, while also building power, speed, stability, balance and flexibility. The DAP enables targeting of muscles from different angles and directions and can assist in developing both the upper and lower torso. The Exigo Dual Adjustable Pulley is a great space saving machine which combines all the functionality of a cable crossover from a much smaller footprint. Exceptionally versatile and built to last. Dual pulley mechanism creates a smooth, quiet and easily operated adjustment system. New upgraded 2 x 100kg weight stacks, 17 different adjustment positions per column. Various attachments available at additional cost. Multi-grip chinning bar included along with instruction plaque highlighting all the exercise options from this DAP. UK manufactured with various custom colour options available.